With more than two decades of industry experience, you can be sure that we have the skills and experience to freshen up your roof, and ensure it is leak proof and safe. We work throughout the BS postcode area, delivering top grade levels of workmanship, and we use the best industry standard materials to provide you with a beautiful roof. When you want a fully qualified roofer to visit you at home, inspect your roof and offer you a free quote on any of the services we offer, talk to us today. Our prices are among the best around and you’ll get a full breakdown of cost. 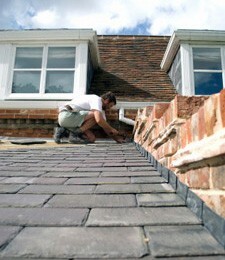 For a reliable roofer in Bristol call us today on 0117 345 9006. We will make sure you get what you want, at a price that's right for you.